David Gold thought he was doing a good deed, but instead was found guilty of not recognising one of his own players. The 79-year-old West Ham chairman was sent a tweet by a prankster, asking to spread awareness of a "missing" Hammers fan. 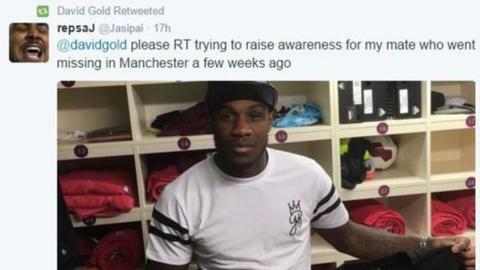 Gold obliged, only for the fan to turn out to be West Ham winger Michail Antonio. Antonio, 25, cost the Hammers £7m when he arrived from Nottingham Forest on transfer deadline day - but he has made just one appearance for Slaven Bilic's team, coming on as a substitute in the 2-1 win at Manchester City on 19 September. Gold has since deleted the tweet, but the prankster has pinned a screen grab to the top of his Twitter timeline. The lesson - think before you retweet.